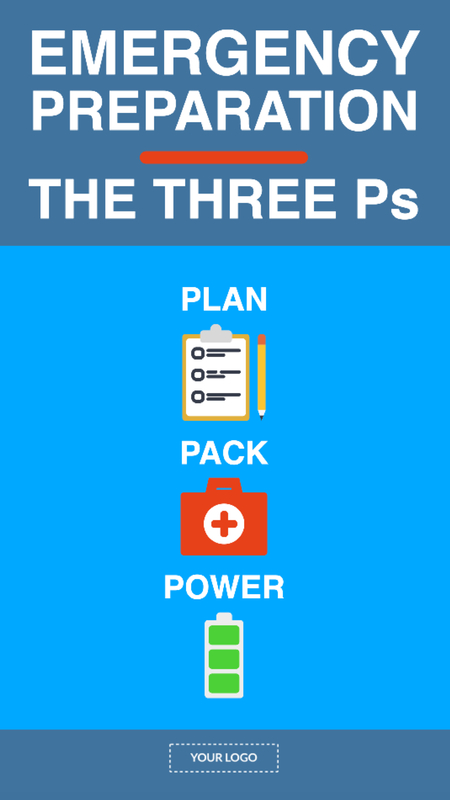 No one expects disaster, but there are steps you can take to ensure your students are safe if danger comes to your campus. Thousands of schools across the country use emergency alerts (commonly called Common Alerting Protocol, or CAP Alerts) to send messages to students and staff. 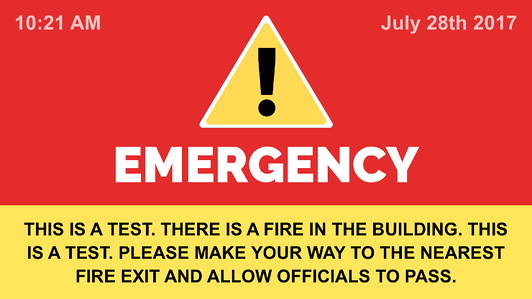 Digital signage can integrate your CAP Alerts and make sure they get noticed and your students and staff know exactly what to do in an emergency. From notifications about an active shooter on campus to a severe weather warning, nobody wants to see alerts on a display. Alerts mean there is an impending danger on campus. When done correctly, however, alerts can save thousands of lives. A single alert can trigger across a variety of systems (from text messages and emails to digital signage displays), which increases the chances of students and staff seeing it. CAP Alerts can give schools the ability to include relevant content such as maps, photos, and videos. 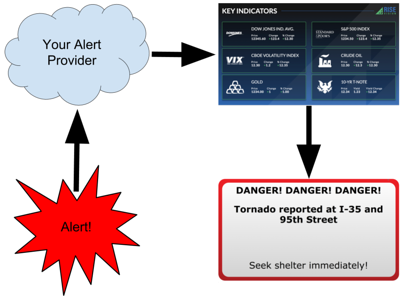 CAP Alerts can be geo-targeted to defined areas. Some alerts can be configured in multiple languages. Alerts can be sent as both text and audio which helps meets the needs of hearing and visually impaired students and staff. Rise Vision Alerts provides the ability for a Rise Vision Company to receive emergency alerts from a 3rd party Common Alert Protocol provider, such E2Campus or Rave, and immediately show them across any or all of your Displays. To get started you need a Rise Vision account and a CAP provider. Something happens that triggers your CAP provider to create an alert. The alert is sent from your CAP provider. The alert provider is plugged into your account. Alert is shown on any display set up with the alert. To walk you through how to set up alerts on your display(s), we have a help article. While it is possible to implement an alert into a presentation you build from scratch, the easiest way is to use one of our pre-built templates. You can add any Template with a click of a button! It’s that easy! You can see CAP specific Templates below. Click the “Add Template” button and it will be added into your account. If you're using alerts and digital signage to keep your school safe we'd love to know more about how you're doing it so that we can share that knowledge with other schools using Rise Vision. Tell us here.